A good set of sheets makes all the difference for a good night's sleep! PeachSkinSheets are high-quality sheets that we have absolutely fallen in love with at our house! 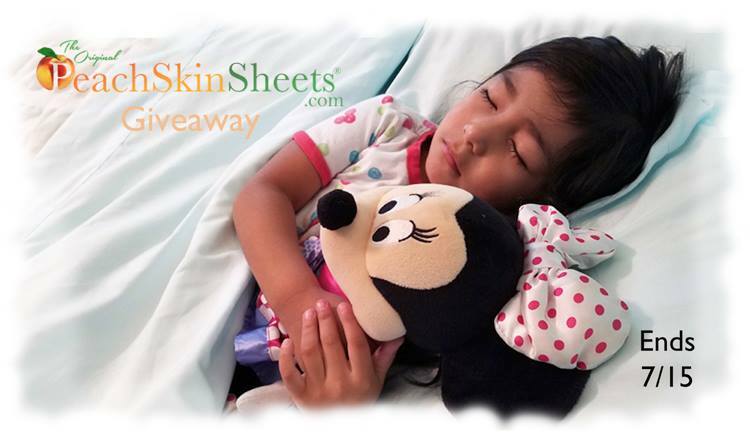 PeachSkinSheets and Mom Does Reviews have teamed up together to give you a chance to win a set to see for yourself just how great they are! There is nothing quite like sleeping on a sheet that is 1500 count--they are so cery soft. These particular sheets help to wick away moisture which is a big plus in the summer and anytime that the weather goes from cool to hot in a couple of hours like it seems to be doing here where I live lately. what I love the absolute most is that they are wrinkle free right out of the dryer (as long as you heed their instructions). Check out Amy's review and then fill out the giveaway form. Of course if you don't want to wait the price point isn't too high for sheets that will last! PeachSkinSheets are made with breathable, extra soft 1500 thread count material that is a durable athletic grade performance SMART fabric that wicks away moisture making sleep much more comfortable! Wrinkle release which is activated when set on medium/high heat in the dryer for 20 minutes after washing! Thermal control helps warm sleepers stay cool and cool sleepers stay cozy. Prices start at only $55 for sheets sets! 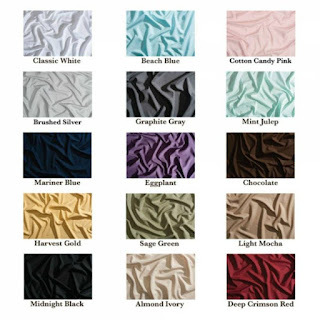 2 Colors of the month are priced at $55 for ANY size sheets sets! Check out the current colors of the month HERE! 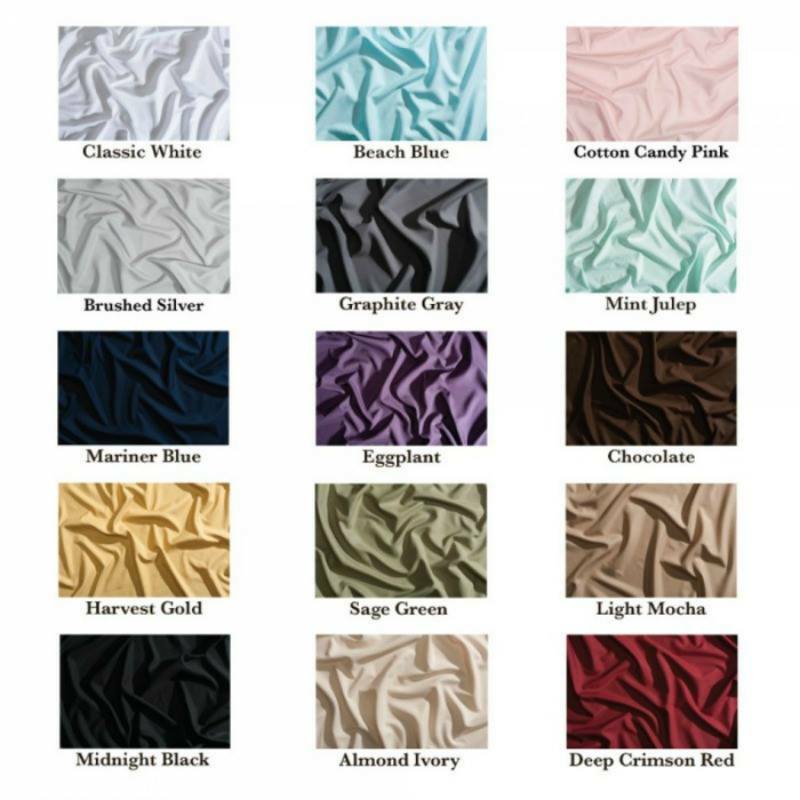 PeachSkinSheets offers FREE color swatches to allow you to be sure of your color choice before ordering your sheet sets. Check out Amy's full review HERE! I would choose the sage green sheets if I won the giveaway. I would love the beach blue color! I would pick beach blue. The Beach Blue color is my favorite. I would pick Mint Julep. I would choose the Beach Blue sheets. I would choose the brushed silver. If lucky enough to win, I would choose cotton candy pink. I would pick graphite gray! I really like the brushed silver too. The Graphite Gray would go well with what I have in my room. Many pretty colors to choose from. Beach blue would be my top pick. I would pick the eggplant color! I would choose the classic white. Call me boring, but I love the White color the most of all the available choices.